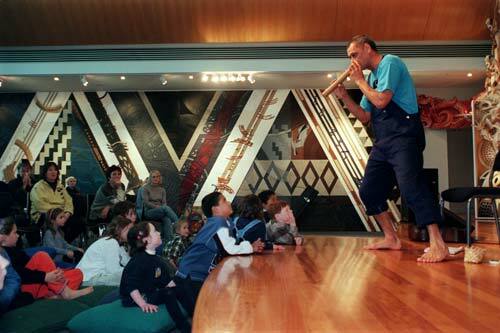 In the early 2000s Te Taura Whiri i te Reo Māori (Māori Language Commission), the Ministry of Education and the national museum, Te Papa Tongarewa, became involved in the revival of Matariki celebrations. Here, Āpirana Taylor weaves a spell over his young audience during a story-telling session. Events focused on the role Matariki might play in regenerating the Māori language.